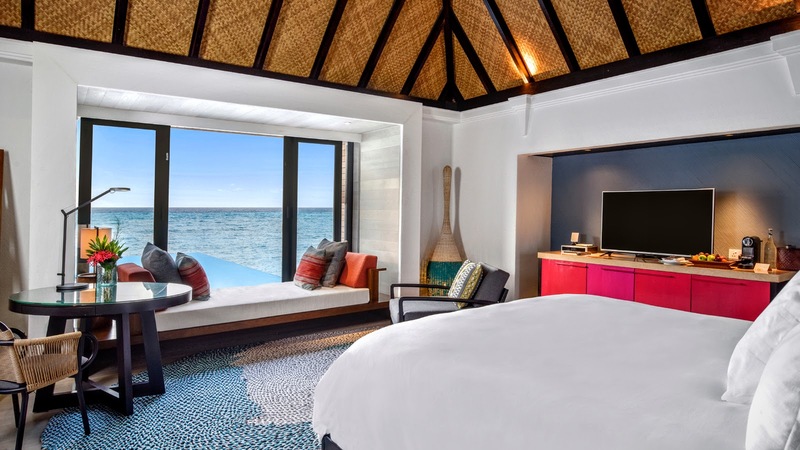 Four Seasons Resort Maldives at Kuda Huraa unveils its brand new all-villa water accommodations – the country’s ultimate lagoon sanctuaries – in December 2016. Completely renovated, refurbished and extended throughout, each vast oceanic haven has its own private 24 square metre (260 square foot) infinity pool, accessible through sliding glass doors from a brand new day bed alcove in the master bedroom. But that’s not all. 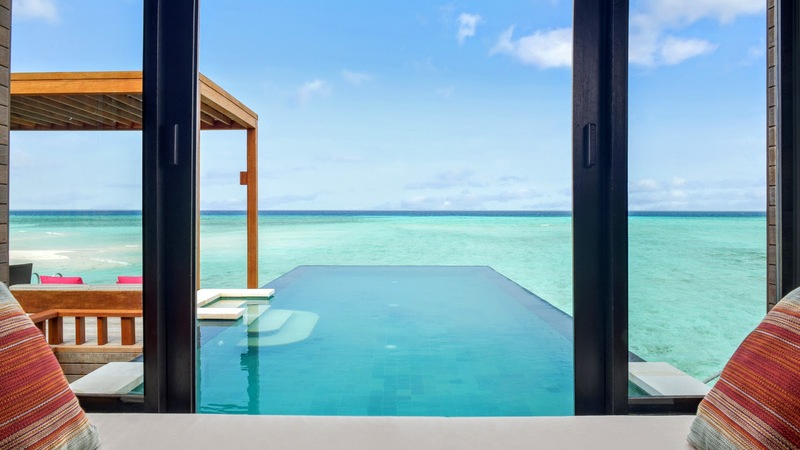 At the furthermost end of each villa’s vastly extended wooden sun deck – past the loungers and huge over-water sunbathing net – an open-air pavilion takes the notion of overwater living to the very edge with a shaded sofa area, dining table for four, over-lagoon hammocks and steps into the warm crystal lagoon dotted with fish and corals. 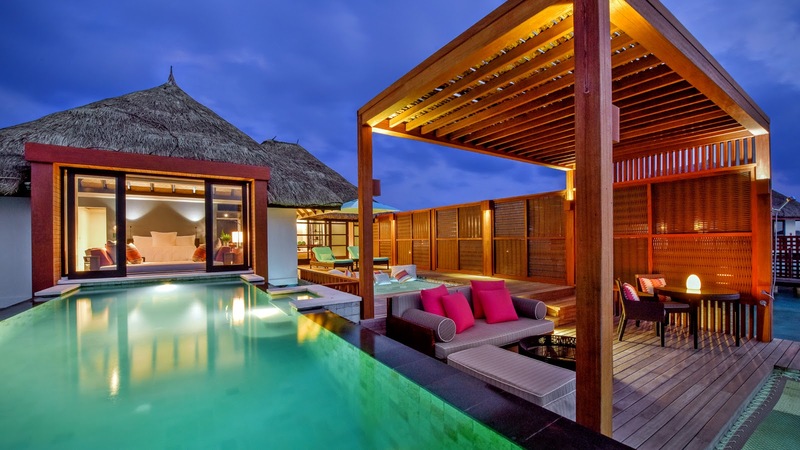 Available with one, two or three bedrooms, each ocean-top retreat is spaced widely for privacy along wither the sunset or sunrise side of Kuda Huraa’s long water villa jetty. In addition to the daybed alcove and air-conditioned lounge area, internal highlights include a naturally lit walk-through wardrobe corridor and a huge marble bathroom complete with separate shower cubicle and freestanding ocean-view tub. Contemporary interiors are inspired by the vibrant garden-fresh colours of Kuda Huraa and complemented by cool timber flooring. A handmade Maldivian thatch roof and distinctive architectural detailing draw on the traditions of generations of local craftsmen to complement the Resort’s sense of place. And upgraded in-room technology includes IPTV, full stereo system and 55-inch screen and espresso machine. 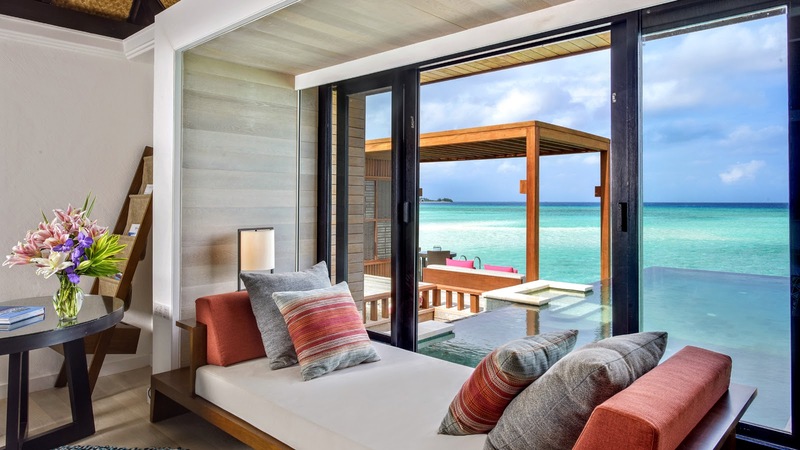 To be one of the first to experience Kuda Huraa’s new Water Villas contact the central reservations department of Four Seasons Resorts Maldives at tel: (960) 66 00 888, email: [email protected] or book online.